Even with blue skies, abundant sunshine and westerly breezes, summertime creates dangerous moments for children and adults. From extreme heat to deadly insects, venturing outdoors in the summer can pose a risk even to the seasoned hiker. Trampling through the wrong underbrush can cause itchy rashes, and hiking over loose rock can cause serious accidents. Before you get excited about summertime adventures, take precautions and head out prepared with these summer safety tips and items. While you can live more than three weeks without food, you can only live up to a week without water. If you throw in extreme heat and a lack of shade, you may only last a couple of days. A water hydration pack ensures you have plenty of water on hand in such emergencies. It has zippered pockets for storing items and padded shoulders for comfort. 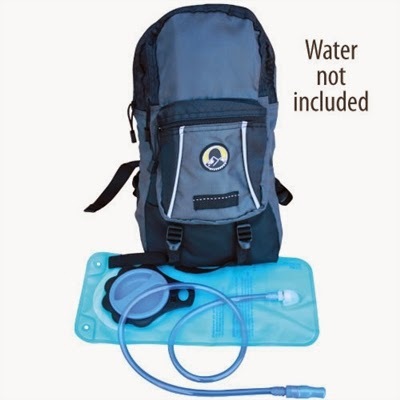 Because the 2-liter bladder connects to a long hose, you can take a drink without having to stop along the trail. When your water supply runs low and you need hydration, do not drink from streams, ponds and puddles without first purifying the water. Untreated water contains thousands of small organisms and parasites, such as giardia, which causes bloating, diarrhea and abdominal cramps. Purification tablets not only kill bacteria and viruses but also neutralize the water's taste, color and odor. Also, water filters can effectively remove bacteria and protozoa. For example, the Sawyer Mini is ideal for outdoor recreation, hiking, camping, scouting, domestic and international travel, and emergency preparedness. This high performance mini filter fits in the palm of your hand, weighs only 2 ounces, and filters up to 100,000 gallons. You never know when the trail will lead you through a patch of poison ivy, a three-leafed plant that causes an irritating rash, blisters and itching. A poison ivy kit can help prevent the itch and make your trek through the underbrush less risky. 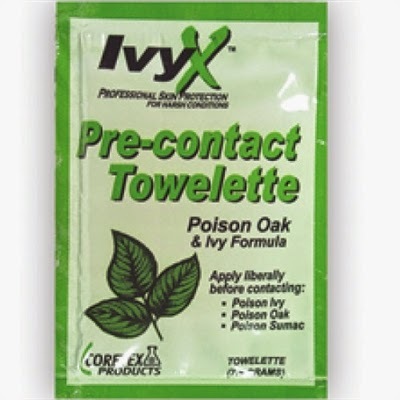 Apply a pre-contact towelette to your skin before contact with poison ivy, poison oak and poison sumac or use IvyX cleanser towelettes after coming in contact with poison ivy, oak and sumac. From fleas and ticks to black flies and mosquitos, these insects turn a pleasant outdoor adventure into a huge annoyance. To make matters worse, some of these insects carry and spread diseases, such as the West Nile Virus and Lyme disease. Use an insect repellent towelette and protect your body from the onslaught of these summertime pests before you head outdoors. Always carry a first-aid kit with you on a mountain trek, a forest hike or even a day at the pool. From bumps and bruises to cuts and headaches, a first-aid kit contains everything from antiseptic wipes to aspirin and helps in times of an emergency. A small first-aid case fits neatly in a hiking backpack and has clear pockets with organized supplies. Such an interesting article! If you want to read more well-written texts go to the resource https://prowriterscenter.com/ and know more about it. There you can see one of the biggest writing resources in the online space. Every student knows it. If you order a text here your private information still safe. The resource also can help you with saving time, just know more details about it. Make sure you're prepared in the event of an unexpected emergency. Emergencies can happen anytime, so it’s best to be prepared with a first aid kit. 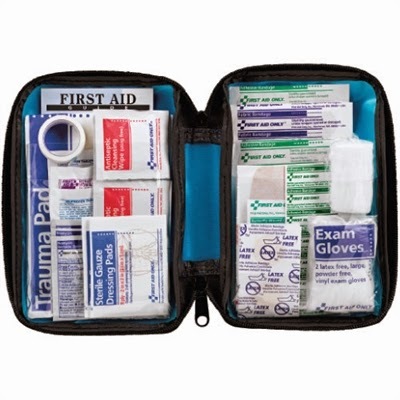 https://gearexpertguides.com/best-first-aid-kit/ Here are the best first aid kits we recommend.